With the current (medical) way of thinking, everyone feels that to diagnose symptoms is the best way to support your ongoing good health. I beg to differ and I hope you can appreciate my following argument. First of all, why diagnose your symptoms? The bottom line is to make life easier for your doctor. The average time a doctor spends with each patient is reckoned to be in the order of six minutes, taking a global average. Is six minutes enough time to get a handle on why you are suffering? I suggest six hours (spread over a time period rather than consecutive) may offer you better support. When you are not enjoying vibrant health, then every stone needs to be overturned to find out just exactly what could be the cause. However, as the medical profession is, sadly, now firmly in bed with the pharmaceutical companies, the doctors only job is to find the most suitable drug for your condition. They are not interested in causes or in the support of good health. Their only mission now is first to label you, then to drug you, hopefully for life and hopefully with a serious condition as that makes the most money. Why am I against diagnosing symptoms per se? Because for each label there are a million and one different reasons, which are likely to be different for everyone. However, there is a common thread which runs through most ailments of today, which is never taught at medical school. And that is nutrition. If you have a magnesium deficiency, for example, you are likely to suffer with cramps. So why take a drug when all you have to do is to eat magnesium rich food? If you suffer with frequent colds, it shows that your immune system is struggling, possibly because you are low in vitamin C and D. Why take a drug, or a potentially dangerous vaccine, which depresses your immune system further, when all you may have to do is to eat more fresh fruit and get out in the sun? If you have a chronic diseases, such as cancer, it shows that your body is seriously acidic, when it should be alkaline. Simply changing your diet from acid making foods, such as animal protein, to alkaline making foods, such as fresh fruit and veggies, can totally reverse the problem. What do you prefer, chemo (a poison as well as an acid making drug) or fresh produce? Even when diet isn’t the complete answer to your problem, a healthy diet will help everyone to some degree. Can anyone who thinks logically, really believe that taking poisons such as chemotherapy, can help you when you are already very sick? It makes me feel that humans are really the most un-intelligent of all the species on earth. So what is the alternative, what other options are there than to diagnose my symptoms, you may ask? 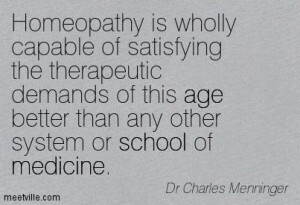 Whilst I can’t speak for other holistic practitioners, in homeopathy we don’t even try to diagnose symptoms. Instead we are only interested in your unique and personal EXPRESSION of symptoms. What’s the difference? Only when your personal details are considered, can a helpful homeopathic prescription be made. Not to suppress your symptoms. Not to keep you popping pills for the rest of your life. But to support your body’s immune system, which knows very well what to do, but just needs a bit of help when the going gets tough. To bring you out of your suffering to a healthier way of life. To allow you to reach old age in health. To diagnose symptoms is to miss the point. To get at the heart of the matter is to consider your personal symptoms in detail as well as the cause, if possible. 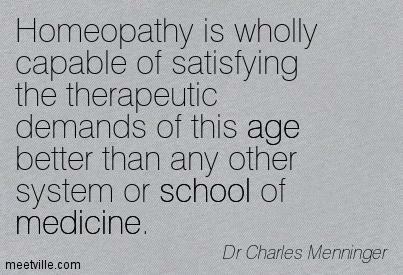 That may be changing your diet, a life habit and/or taking a homeopathic remedy to straighten things out. But rest assured, this is a far healthier approach to life and health than popping immune suppressive drugs, whatever the doctors or governments tell you. 1 Response to "To Diagnose Symptoms Is Unhelpful For Your Ongoing Health"
Absolutely correct. Very well written and it explains homeopathy so it’s easy to understand. Drugs cannot bring health; it’s impossible. I’m so grateful for people like you who share the knowledge you have and help others. God bless you.